Anyone taken a look at the softball OOC schedule??? Their schedule is unlike any other I've seen Troy play before. It will likely be one of the Top 30 toughest schedules in the nation. They face Alabama (x2), Auburn, LSU, South Carolina, Georgia Tech, Missouri, and Maryland (x2). If they come away with just a few wins in OOC play, and win the games they're supposed to win in SBC play, they may have a shot at the NCAA's for a possible at-large bid. I also think there's a high probability Troy breaks it's average home attendance record this year. You have to admire coach Mullins for going for it this year. If it is going to happen, now is the time. 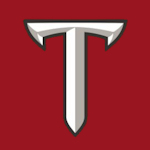 After finishing 3rd in the Sunbelt tournament last year, Troy has 6 seniors on the roster and they are all returning starters. The only positions that probably won't have a starter returning are 2b and DH. Mullins also brought in a freshman pitcher who was the Alabama 2018 Gatorade player of the year for Alabama. It is a very tough schedule, but it should prepare us for conference play. Currently 5-3. Beat some awful teams and been outscored 21-1 by two SEC schools. Still to early to judge this team but we don't look good against good competition. 2 wins vs. Maryland look pretty good. Yes, but Maryland was 18-37 last year and Stetson is 0-4 this season and were barely .500 last year. Missouri and Alabama are upper level SEC teams but we scored 1 run in 3 games and gave up 21 runs. We will see how we stack up against USA and ULL. Correct. Still have 3 SEC teams to play.